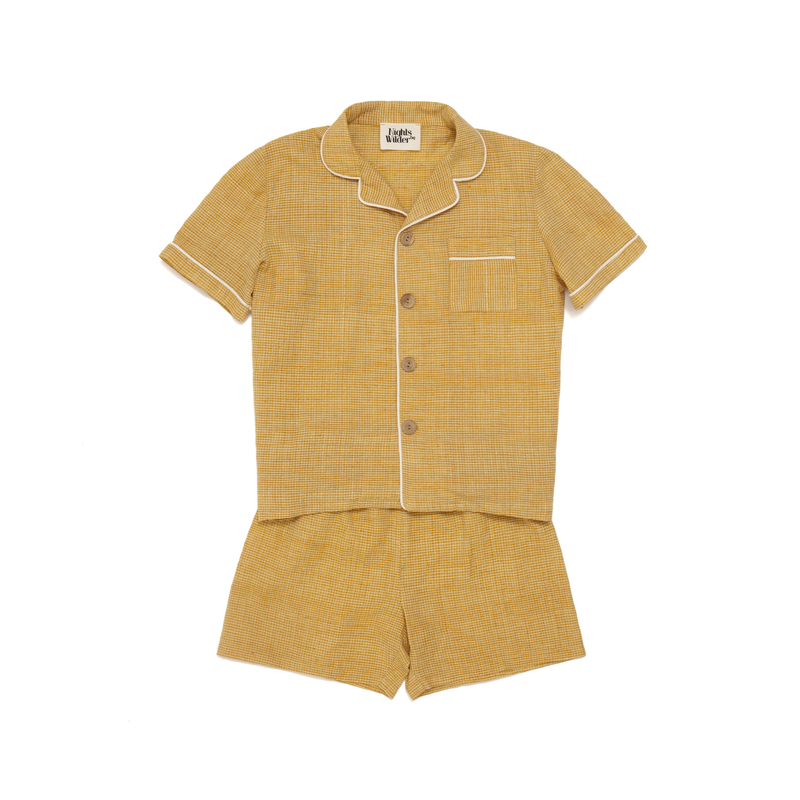 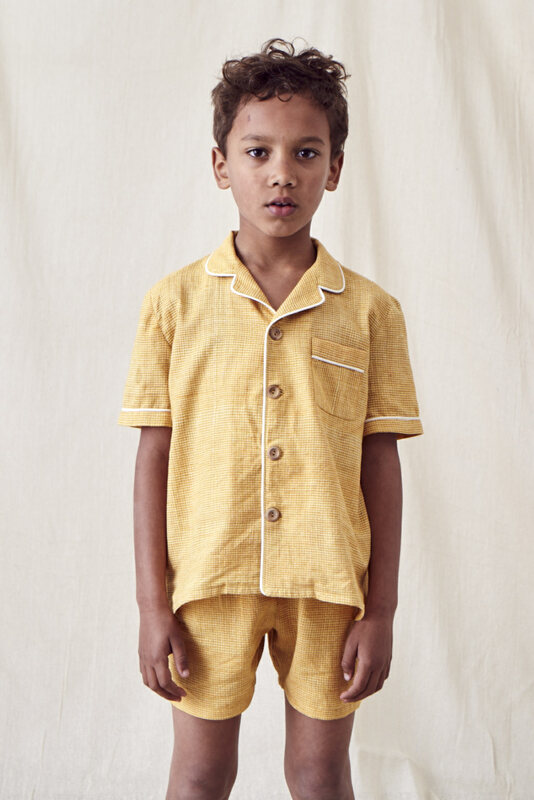 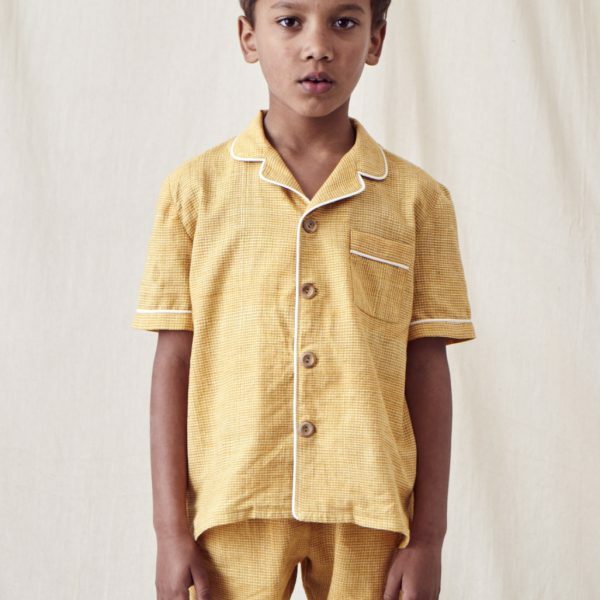 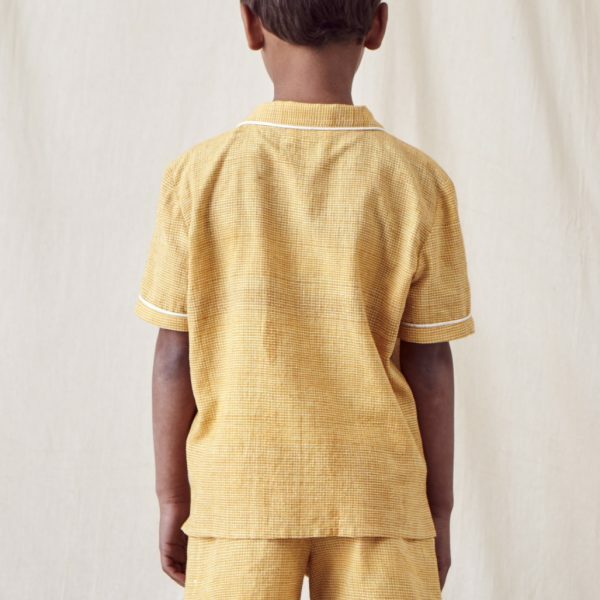 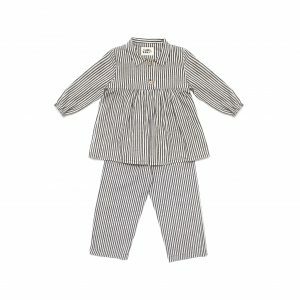 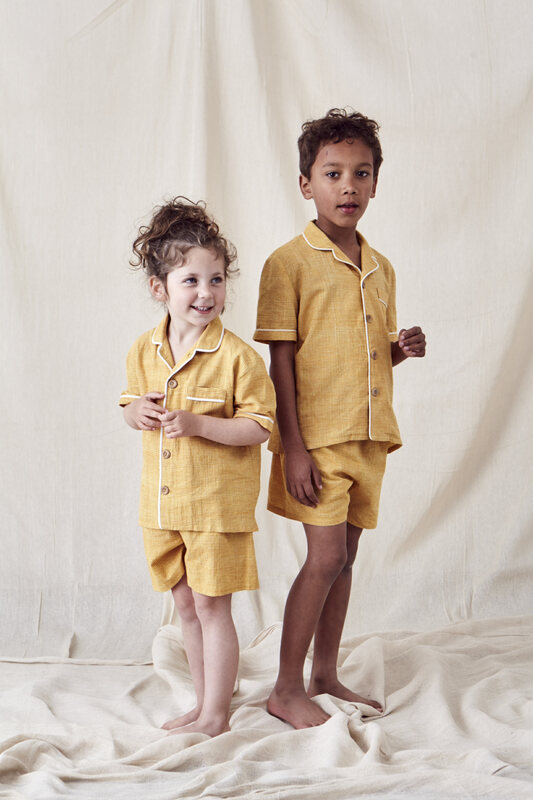 A short version of the ‘Lennon’ classic unisex pyjama set, with button down style shirt and elasticated waist trousers for ease and comfort. 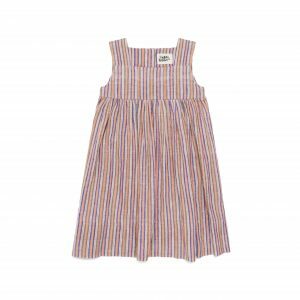 Available in this summery sunflower checked cotton fabric with cream piping or black stripe with black piping. 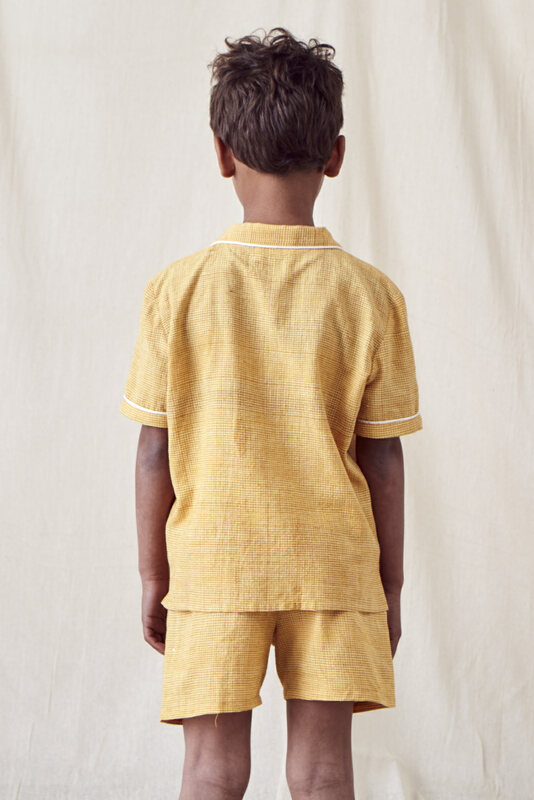 Out of stock sizes due in end of march.